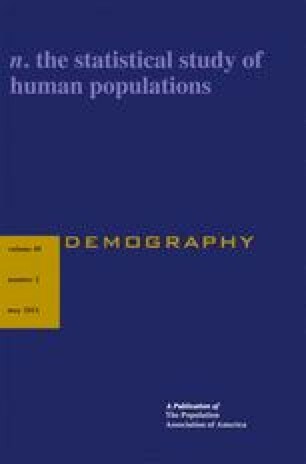 This paper adapts the population balancing equation to develop a framework for studying the proximate determinants of educational homogamy. Using data from the National Longitudinal Survey of Youth on a cohort of women born between 1957 and 1964, we decompose the odds of homogamy in prevailing marriages into four proximate determinants: (1) first marriages, (2) first and later marital dissolutions, (3) remarriages, and (4) educational attainment after marriage. The odds of homogamy among new first marriages are lower than among prevailing marriages, but not because of selective marital dissolution, remarriage, and educational attainment after marriage, as has been speculated. Prevailing marriages are more likely to be educationally homogamous than new first marriages because of the accumulation of homogamous first marriages in the stock of marriages. First marriages overwhelmingly account for the odds of homogamy in prevailing marriages in this cohort. Marital dissolutions, remarriages, and educational upgrades after marriage have relatively small and offsetting effects. Our results suggest that, despite the high prevalence of divorce, remarriage, and continued schooling after marriage in the United States, the key to understanding trends in educational homogamy lies primarily in variation in assortative mating into first marriage. The online version of this article (doi: 10.1007/s13524-012-0093-0) contains supplementary material, which is available to authorized users. The first author gratefully acknowledges financial support from the Jacob K. Javits Fellowship Program. The second author received support from the John D. and Catherine T. MacArthur Foundation and the Council on Research of the UCLA Academic Senate. This research was carried out using the facilities of the Center for Demography and Ecology at the University of Wisconsin–Madison (R24 HD047873) and the California Center for Population Research at the University of California, Los Angeles (R24 HD041022). The authors are grateful to Thomas DiPrete, Shoshana Grossbard, V. Joseph Hotz, Jenna Nobles, Judith Seltzer, Megan Sweeney, Donald Treiman, and anonymous reviewers for valuable comments. Earlier versions were presented at the 2001 annual meeting of the Population Association of America in Washington, DC, and the 2003 meeting of the International Sociological Association Research Committee on Social Stratification and Mobility (RC28) in New York. Respondent transitions from single (never married) to married between interview years separated by no more than three years. Either partner in a marriage or remarriage increases their education category between interview years separated by no more than three years. Note: Female respondents are aged 16 to 41. Source: National Longitudinal Survey of Youth (NLSY79), 1979–2000. a3% of first marital dissolutions and 2% of later marital dissolutions were attributable to widowhood. b18% of new remarriages were reunions with a former spouse following a separation or divorce.